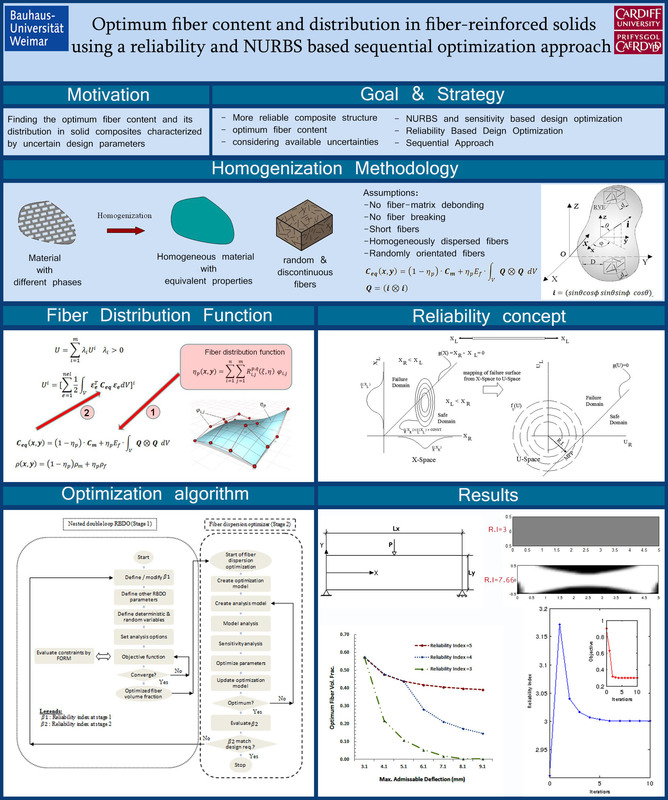 A double stage sequential optimization algorithm for finding the optimal fiber content and its distribution in solid composites, considering uncertain design parameters, is presented. In the first stage, the optimal amount of fiber in a Fiber Reinforced Composite (FRC) structure with uniformly distributed fibers is conducted in the framework of a Reliability Based Design Optimization (RBDO) problem. In the second stage, the fiber distribution optimization having the aim to more increase in structural reliability is performed by defining a fiber distribution function through a Non-Uniform Rational B-Spline (NURBS) surface. The output of stage 1(optimal fiber content for homogeneously distributed fibers) is considered as the input of stage 2. The output of stage 2 is Reliability Index (RI) of the structure with optimal fiber content and optimal fiber distribution. First order reliability method in order to approximate the limit state function and a homogenization approach, based on the assumption of random orientation of fibers in the matrix, are implemented. 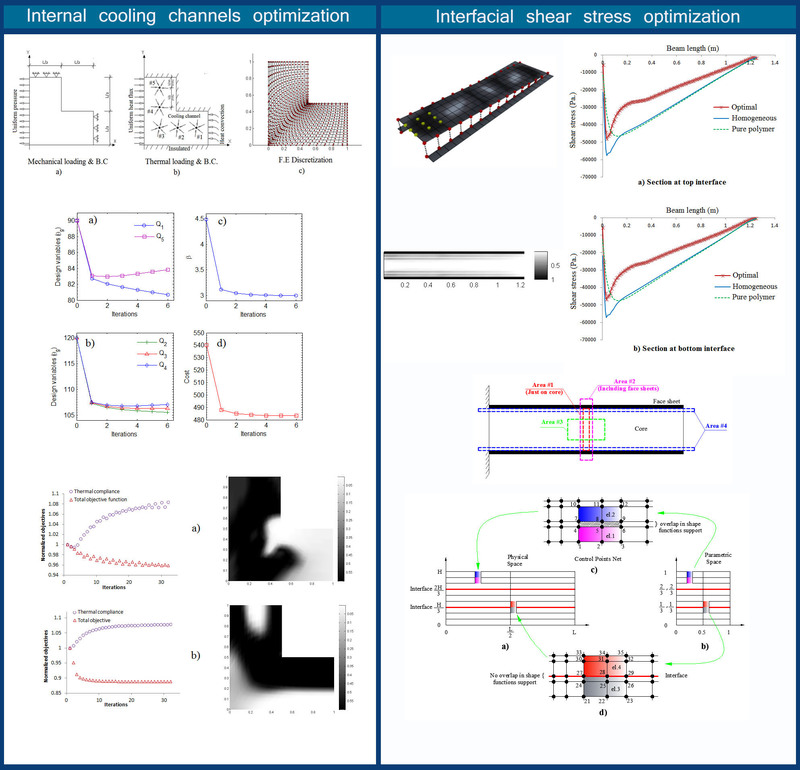 The proposed combined model is able to capture the role of available uncertainties in FRC structures through a computationally efficient algorithm using all sequential, NURBS and sensitivity based techniques. Performed case studies show as an increase in model uncertainties yields to structural unreliability. Moreover, when system unreliability increases fiber distribution optimization becomes more influential.